Apply Remove all buffs to enemies at target. + Apply Weakness to enemies at target. 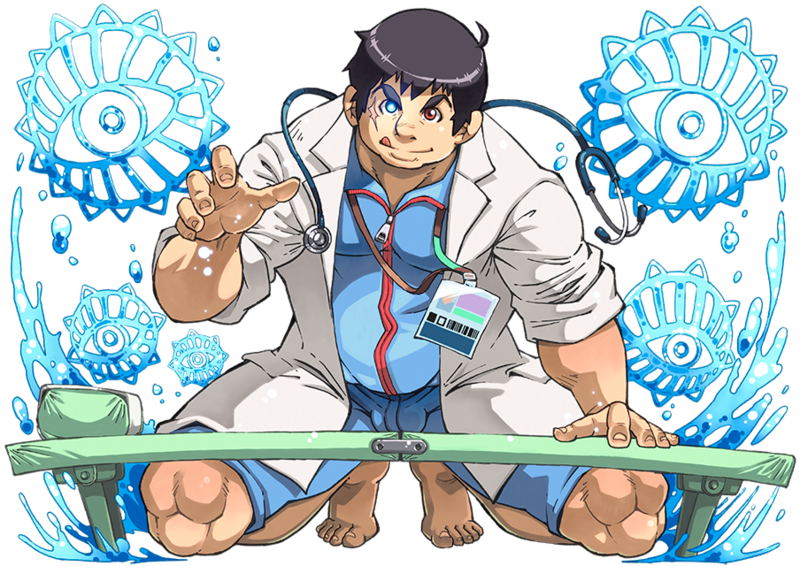 The live-in dorm manager/sports doctor of the prestigious sports school Yoyogi Academy, which spans middle school, high school, and college and is all expenses paid. 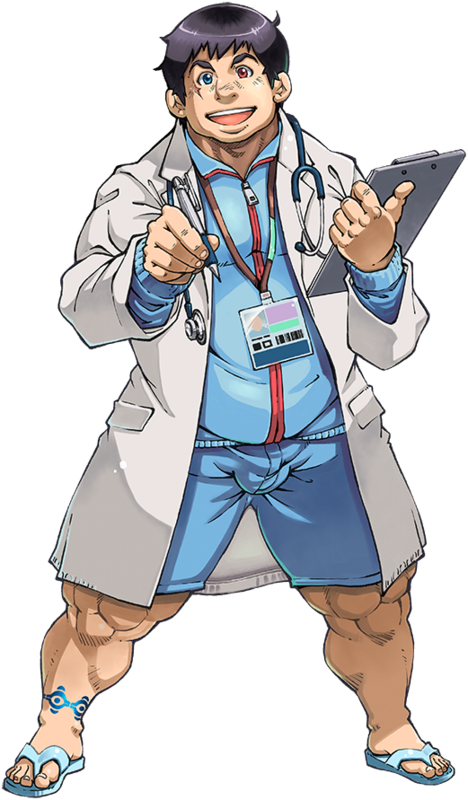 On top of that he's also a research student of the college sports medicine department. As a sportsman himself along with his trained body and reliable personality, he is popular with his dorm students. He can understand where any illness is afflicted with just a glance, but since this isn't based on medical science he doesn't boast about it. Deep down he dislikes having to ask a certain person from the Kamata Crafters to do maintenance on his artificial eye. Being a public-health doctor is his cover identity, and in truth he is a spy of the organization known as the Agents. He knows the true purpose Yoyogi Academy was founded for and he has been assigned to observe the students there. However, he himself says his affection for the students in the genuine article. Once he lost one of his eyes in his accident, and now it is replaced by an artificial eye Sacred Artifact. Along with the ability to see things, it is his wish and Role to see a "certain ending" for this Tokyo with his own eyes. With the power to see through things and clairvoyance, he can even ascertain where power spots that can be nodes for ley lines. A sharingan AND a byakugan?? ?